It’s big, it’s meaty, it’s got buttons and switches and knobs and it’s shiny (silver) or its so dark that light falls into it (black, what else?) and you could put caterpillar tracks underneath it and invade a small neighbouring country without a shot being fired because the populous would run away from it, hands in the air, screaming hysterically. This is Yamaha going back to its 70s roots. You don’t look horizontally at the R-N602, you walk up to it, pause, then you lift your head slowly and see if you can make out the summit…somewhere in the clouds. You also don’t turn on a 115W R-N602 via the on/off button, you send it a letter of introduction and then wait for permission. While doing so, you can note that the R-N602 is designed to be used as part of Yamaha’s MusicCast network audio system that allows you to use all your MusicCast products together or separately, controlled from one app which, of course, also means popular streaming services (where applicable in supporting countries) such as vTuner internet radio, Pandora, Rhapsody, Spotify, SiriusXM, Napster and Juke. On the networking subject, the ‘Yammie’ also supports AirPlay, DLNA plus Digital Blocking (an iPod’s direct signal is sought feeding the Yamaha’s own DAC). An ECO mode reduces power by 20%, you have access to Bluetooth, Wi-Fi plus a Pure Direct button to bypass the majority of the amp’s electronics to enhance sound quality. In terms of files support, the Yamaha supports 5.6MHz DSD and AIFF 24bit/192kHz, WAV/FLAC 24bit/192kHz plus the usual suspects via a Burr Brown DAC. There’s also a FM/AM tuner, speaker terminals for two systems and, oh yes, the ability to plug a turntable directly into the box because you get a phono amp, built-in. More about that later. Other sockets around the back, apart from plentiful source RCA-based connectors, include two opticals, two coaxial, a wireless port for a screw-in aerial plus the ability to connect Ethernet and a subwoofer. It’s bulky, retro and clunky. In fact, the hefty and expansive Yamaha glories in its retro clunkiness. It comes at you, arms open with that certain ‘look at me!’ exclamation as it displays hulking great knobs that control those old classic controls: treble, bass, balance and, don’t forget that old favourite, ‘loudness’, sitting next to more modern additions such as the USB source socket. Some might question the inclusion of such controls and I would agree that the treble/bass/balance/loudness quartet are worse than useless. 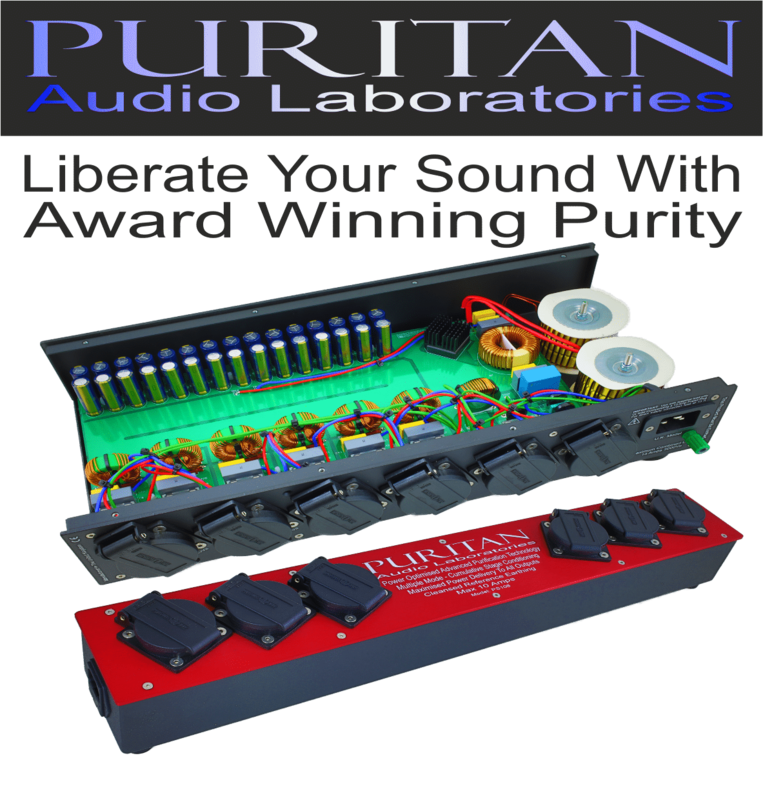 That said, the Pure Direct removes any criticism because it allows the sound signal to skip right past them. Hence, their inclusion could be seen as ‘a bit of fun’. In these design terms and for this price…sure. Why not? 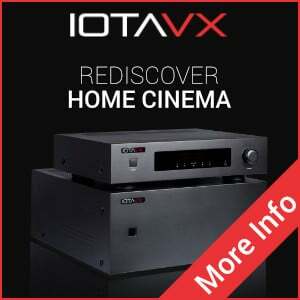 The target audience, many of which will be maturing beginners with hi-fi experience that relates to their parents old system, may even see the inclusion of such controls as a comforting familiarity. I began by spinning Buffalo Springfield’s For what It’s Worth (1966) on the Leema Elements CD Player. Three things hit me immediately. Firstly, the bass was very strong and punchy. Yamaha likes its lower frequencies and the performance here maintains the house sound which means that this track offered excellent bass force and foundation. The song was driven throughout with a strong rhythmic drive that gave the track an enhanced sense of pace. There was a lack of engagement, though. By that, I means that the soundstage did sound a little stark. It was almost as if the guys played in a studio that was, by day, an operating theatre. There was a slight lack of soul and musicality in the R-N602s presentation so that the drums never really connected with the guitars or the emotional vocals. Then I noticed that the Pure Direct button had not been engaged. Turning this feature on bypassed much of the amp to provide a more direct sonic pathway. This improved the sound quality immeasurably, giving the vocals a more, well, human quality with delicate textures from the vocal chords more in evident while the guitars offered greater grit and involvement. Despite the good news, though, a certain analytical edge remained but the effect was greatly reduced in Pure Direct mode. The sense of clarity from the upper midrange and treble enhanced the tonality of the music while there was tremendous instrumental separation around the soundstage so the band sounded relaxed and at ease with their playing. There was never any sense of tension. The air and space exhibited also gave the frequencies time to decay properly which enhanced the performance of these organic instruments, increasing detail. These days, I only tend to handle MP3 files with rubber gloves and a pair of forceps but playing Kylie Minogue’s All the Lovers from her Abbey Road Sessions album in this execrable sound format sounded half decent via my Apple iPhone 6S over Bluetooth. There was plenty of room to be had while midrange and bass existed in an admirably balanced manner. Strings were thin and nasty, yes while Minogue’s vocals made her sound like she had a pinched face (I imagined her as the green-faced witch in the film, The Wizard of Oz, MP3s made Kylie sound just like that) but, even given the lack of musical data, the Yamaha performed tremendously to give you the best performance it could. As if the amp was exclaiming, “Look, guv, I haven’t got much to work with here…but this is the best I could do.” I’ve heard a lot worse, even via equipment price higher than this receiver. Using a USB stick, I played the DSD version of the Allegro for Bach’s Concerto for Harpsichord, Flute and Violin via the front loading USB port and was pleased to hear the relatively spacious digital performance of the R-N602 continue here. Strings and the wind section did sound a little thin and slightly forced, though, even at this high resolution. The performance basically allied itself to the earlier CD tests, in this respect. That said, there was much to admire with the informative nature of the track giving this textured and detail arrangement time to manoeuvre while allowing complex instruments such as the harpsichord a chance to express itself. 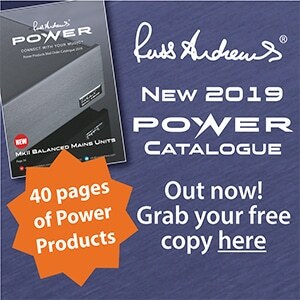 Up until now, we had a reasonable digital power house that looked great on paper but offered no more than a ‘credible’ performance in reality. I wanted to test the internal phono amp of the Yamaha. 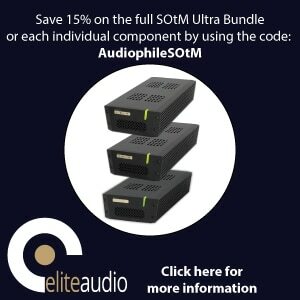 At this price, it is more likely that users will be utilising the internal module and not spending out for an external phono amplifier. Pushing an analogue signal through this unit was fascinating because the results were surprisingly good. The slightly sparse nature of the presentation combined with the epic quality of the phono amp and the warmth of the basic vinyl signal to provide a big, bold, open and grand musical return. Trumpets sounded clear and brassy without a hint of stridency or brightness, saxophones were reedy and emotive, vocals offered a precision and enhanced diction and bass was firm, fast and informative. This heady mixture was quite a sonic revelation for the price! The Yamaha R-N602 offers plenty of value for the money and a wide array of features with an appealing retro design. 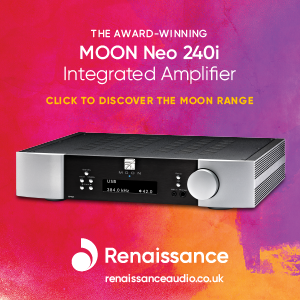 Despite the slightly constricted digital response in CD and general digital file terms, I was blown away by the analogue play and can whole heartily recommend this amplifier if you are looking for an amplifier to act as the heart to your vinyl hi-fi system. In fact, I would go further than that and advise you not to look at this box as a multimedia receiver at all. Me? I would not buy it for its digital features. I would turn the feature list on its head. 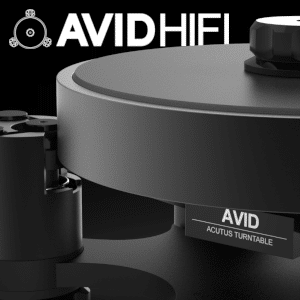 I would see this product as the amp section of a new vinyl system with plenty of bonus digital features added on because even if you saw the Yamaha as nothing else but a vinyl-based amplifier, it would still be good value. Anyone looking to set up a budget vinyl system really needs to place this box on their demo list and pronto. I have a Yamaha HTR-3066 receiver, which is part of a Home Theatre in a box package. Can you connect it the RN-602, as I thinking of pur hasing one. Double check with your dealer but I would say no. The 3066 has a Pre Out socket but that’s aimed at a subwoofer. Not sure of the 602 would be compatible. Would I be able to plug in Bose 901 Series VI equalizer into any one of the audio input/output RCA jacks and achieve results i.e. Bose recommends plugging in to Tape Monitor jacks (or failing that, preamp/amp jacks) back in the day i.e. 30 years ago? I have the RN500, which is quite similar. The audio is what I’d expect, but there is one annoying thing about it: I have a lot of music on a network drive (around 2TB) , and it takes a very long time for the list of albums to load on the app. I’m guessing that the RN500 is not powerful enough to index it in a shorter time. I’m wondering if there is any recommended solution to this problem. Hey. 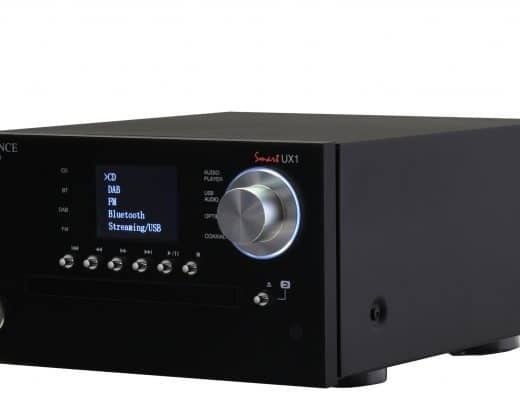 Is it possible to bi amp on this receiver? Hmmm, looking at the rear, I would say no. Unless anyone reading this has rigged up an alternative that works? Yes, it is possible when you turn on the A and B channel by the same time; I have this function on my NS-F350 speakers and it sounds exquisite. Hullo there. 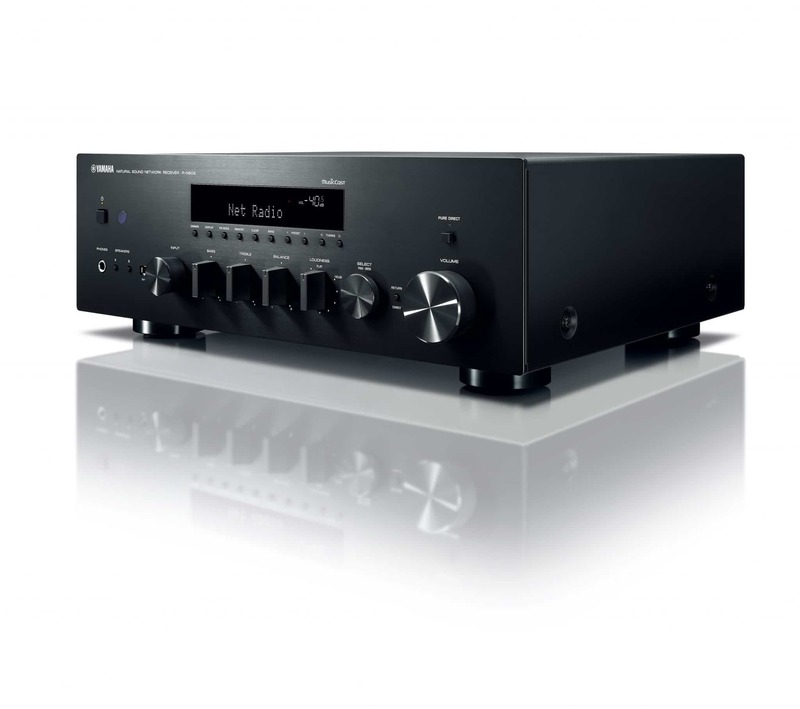 I do have yamaha’s rn-602 receiver for over a year now and I am pretty much pleased with it, as I can use it as a tuner (fm/am band), as a network receiver and I can also connect to my nas and play the music files I have stored there. But what I really want to ask you is that, do you think I could connect to the rn-602 a digital sound processor (technics sh-ge90) and through that dsp a cassette deck (sony’s tc-ka6es)? Or maby, it would be wiser to put another amplifier between them, one that has the specific indication “rec in-out”? Your review has the last word in my decision: I should buy it :). And I want to use it with Dynavoice Dm-6 speakers. It’s ok? Should I take in consideration another model? Now, in my country there aren’t any internet music services like Pandora or Spotify. Buy, using network, can I search over the internet online music using generic? Like Jazz or rock…? The Yamaha also includes Internet radio – so you will have access to worldwide ‘streaming’ of all genres via this source. Still nothing change from my side regarding this aquisition :(. Still looking for best combination between this amplifier and speakers that fits my budget – 800GPB. This amplifier is 440GPB. So I need to find best standfloor or shelf for 350GPB for my ~40 square meters room. I’m a bit lost, Dan – last time we chatted I assumed you were going to listen to Dali and Wharfedale speakers? The Triangles are possibly too good for the Yamaha. I was. But i’m not happy with them. Hi Dan – what’s your source? Hi Dan – and are all of these direct from the Yamaha? Yes. Its’n correct? That is the reason I choose Yamaha: I have optic, network, USB as input..
Hi Dan – ok, I’m with you now. Do you connect other sources to the Yamaha through the digital ports? If so, what? You say you’re having problems finding the correct speakers. What exactly is the issue? The issue is to find the best speakers for it in my budget. The Q Acoustics and Dali speakers are excellent speakers for your budget but you rejected them. Hence, my wish to target the reason. I rejected Dali & Wharfedale. What about Dali Zensor 3? Where they have Dynavoice don’t have Q Acoustics 3020. Yes, Dan, the Dali option is a good one. Thx. You are so understanding and patient! 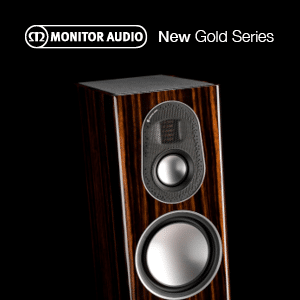 One more thing: what about Monitor Audio Bronze 2? I saw that they have 8Ω, the others have 6Ω. That means that they are supported? Yes, the Monitors are another good option. I’d recommend a demo, if possible because each speaker type will offer minor sound bias types which may tickle your ears (or not). 8 Ohms is fine but the amp works a bit harder to reach the same volume. What about Triangle Esprit Comete Ex? Yes, good design but beware that the punchy presentation can be a little wearing on the ear over time for some. Some weeks ago I bought this receiver and a pair of DALI Zensor 3. Low frequencies was not enough for me (my room is 4×4 meters) and I bought subwoofer DALI Sub E-9 F. At first I connected subwoofer at LFE but later I testet connect to L channel Line Input (crossover potentiometer put on 80 Hz) and in this connection subwoofer sounds better. May be You know frequency cut on Subwoofer Output on Yamaha R-N602? Let me confirm that with Yamaha – I’ll get back to you ASAP. If You connect with Yamaha, may be You can also ask about Speakers Output frequency? On my old reciever Panasonic I can set up “small” or “large” speakers, but in this receiver I cannot find nothing similar! Tough one because Yamaha USA appears to offer the black version only. You might try contacting your local dealer here: https://www.yamaha.com/paragon/dealerlocator/?pid=0028.2801.449473 and asking them if they can source a silver version for you. Just to be clear: based on the published specs, the phono preamp in the N602 is the same as the one in the Yamaha budget amplifiers and receivers. If you don’t need the digital features, there’s no need to pay extra for the N602 thinking you’re getting a premium phono preamp. It’s the same one. I’m interested to get the rn602 and i was wondering if the build in phono preamp is better than the creek obh 15 mk1 that I already have. I want to pair it with wharfedale diamond 10.1, Nad c525bee and a technics sl 1200 mkII. I’m between the 602, the new one rn 803d and the lower end rn 402d. Now my system is with onkyo a9010, does it worth to change it with one of the above yamaha’s. Hi Alkis – No, the Creek is better. 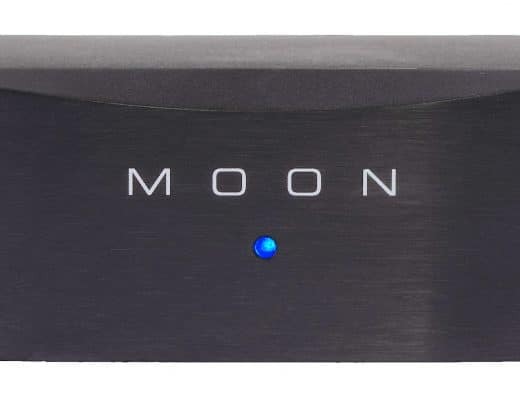 Just about any dedicated external phono amp will be superior than a bundled, built-in model for any amp. That’s the rule of thumb. 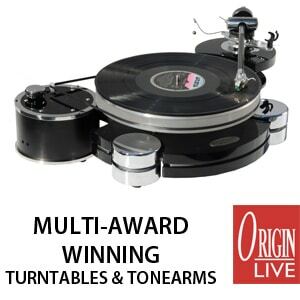 As far as the Onkyo question is concerned, what is your primary source format: vinyl or CD? That will determine your next move. I wouldn’t spend money on the Yamaha, I would look first at your source. Depending on what you listen to most, that is. For a stereo system, Onkyo units feature a good amp module. my source are both cd and vinyl but as I have a lot of music in flac and mp 3s plus the network amenities the yamaha’s have I was wondering if this change / upgrade of my onkyo still worth it. 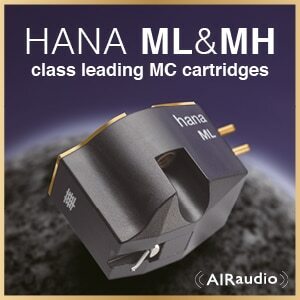 Hi Alkis – If 90% of your listening is done via FLAC and other digital files then entering the Yamaha ‘family’ might be a good idea because that will open you up to Yamaha’s multi-room system and associated network facilities plus the supported music services, etc. If digital listening is less important or equally divided amongst the other sources then I would look to improve your turntable and then your CD player and then your digital server source. If you’re looking to upgrade the Onkyo to the Yamaha purely on amplifier terms, though, then you would be better concentrating on those sources I mentioned instead. The Onkyo is a good product. Thanks for the advice Paul. My listenings are equal from cd, vinyl and digital formats ( for the time being only cd and vinyl that’s why I wanted to change the onkyo with the yamaha’s for the digital formats and the internet radio). I was wondering for your opinion about the new yamaha rn 803d. My listening is rather equal from cd, vinyl and digital files so I’m going to consider your thoughts. No problem, Alkis – if you need further buyer’s advice on those, give me a shout when you’re ready. Hello Paul, I want to update my old amplifier to match my new Dali Zensor 7 speakers. My first idea was Onkyo 9010, but since my main source is CD/spotify music, I thought it is better to buy an amp with bluetooth connection. The Yamaha R-602 seems a good option, but after reading your review I got the impression this is perhaps not so good. I wonder if it might be a good idea to get the Onkyo (or similar) + external bluetooth adapter? I thought the “all in” option is better, but you are the expert here. Any suggestion along this line is welcome. Thanks in advance for your help. I dont want to spend more than 500-600 euros. Hi Paul, thanks for the quick reply. This looks like an excellent option, which would be your second choice? My first idea was something cheaper, but I feel the Dali speakers sound great and I am goint to miss performance if I buy a cheap amp. Conerning the option amp + external bluetooth adapter, I guess your advice is against it? You’ve got it, Daniel – you need a quality amp to get the best out of these speakers. If you can’t afford it now, I would advise saving up. Nice review! I just got this stereo receiver. I have one question tho: will the subwoofer get a LFE signal while the pure direct mode engaged? Or is the subwoofer-output deactived while in pure direct mode? I ask because I don’t have a subwoofer atm but thinking about future options. Nice review. I am not an expert and planning to upgrade my amp. Have Yamaha NS-777 tower speakers without sub (only two channel). In-terms of numbers, the much cheaper R-N202 is also having comparable wattage. Then what difference does R-N602 makes in terms of sound quality. Hi Rajesh – the 602 provides better quality speaker terminals, a built-in phono amp for a turntable, a sub connection if you need one later, optical and coax connections, wireless and networking facilities, USB, Bluetooth and more. Not sure how they compare in terms of sonics, I’m afraid but I would venture to suggest that the 602 uses superior components and will – taking an educated guess but no more – sound better because of it. 602 weighs 9.8 Kg against 6.3 Kg of 202. I think system weight is predominantly contributed by it’s transformer. So can we assume (wild guess) 602 would deliver the rated power tirelessly apart from component quality. I am presently using a Fiio X1 for playing music and it has got line out facility. Does using built in USB gives better sound quality than using an external player like Fiio. Hi Rajesh – correct me if I’m wrong but doesn’t the Fiio only have a 3.5mm output? A USB is not really in the picture as an option, I believe. Even so, the Fiio is a good little DAP and should work well with the 602. Or have I misunderstood your question? Fiio has a 3.5 headphone jack But the same can be set to get line out (I never tried though). I was wondering using in-built USB, are we getting better sound because of minimum signal loss and or better matching to amp. If so it would be one justification spending extra for the model having in-built usb. I would highly recommend using the line out option via the headphone jack to improve sound on your Fiio, yes. The USB on the Fiio is for charging only, I think. For the Yamaha, the USB port is well worth pursuing, yes, if you have something compatible to plug in. I just bought this receiver. I have one question regarding DSD playback. I have got few sample files in .dff and dsf format (DSD64 i believe) but receiver seems not to “see” these in my shared music folder. It does play mp3 and FLAC files located in the same place on my PC though. I also tried to copy these DSD files onto my phone and connect via USB but with no luck. Not sure what I am doing wrong. Have you been able to play these DSD files anywhere else? Are the files themselves ok? If so, copy the files to a USB stick and try to play it/them from there. After that, try and play them from an external hard disk, if you have one. Then come back and let me know how you got on. Could possibly be a PC issue. That’s a moot point, Martijn – I’m not a fan of any soundbar, to be honest. No matter what type or brand. Too many compromises. 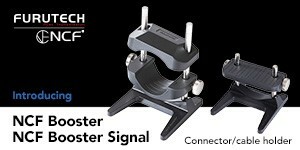 That said, if you forced me to recommend one then it would be the Q Acoustics example: https://www.richersounds.com/q-acoustics-m4-blk.html (I’m not recommending the retailer, this information is just for your reference). It includes Bluetooth. Hi Paul! I just bought this Yamaha RN602. 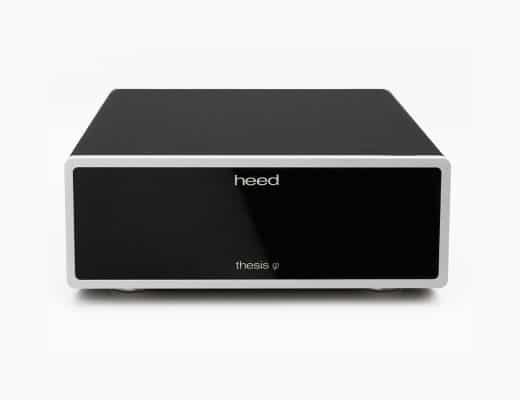 As your review says, you seem to really like the phono amp on this one. When I plugged my Akai turntable in, I noticed a HUGE sound level gap between the analog and digital (spotify). The digital sounds 2X louder than the analog… I tried it with my brother’s Technics turntable and I got the same results… Did you experience the same issue? 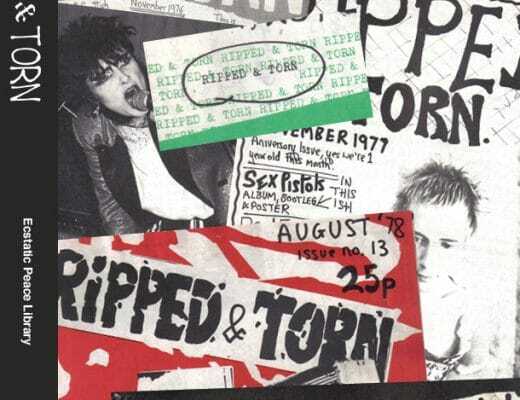 There’s a host of possible reasons for this – did you try other digital sources, incidentally? One good reason may be the compressed nature of Spotify streaming which will give the impression of a higher gain/volume while the lesser or zero compression on a purer and higher quality analogue source signal will give the impression of a lower gain/volume. Connected with this, noise in a signal can produce seemingly higher gain. This is one reason why your vinyl records sound a lot better than a Spotify stream, there’s less noise to mask the finer detail on offer via analogue. I tried with all other digital sources, cd player etc… and they pretty have all the same sound level. I really think there’s an issue the analog build-in amp with my receiver… Not only the sound level is much much lower but it also seem muffled… You didn’t experience the same problem during your tests? Not with my hi-fi chain, I’m afraid Dominic. There may be a technical issue, certainly. It’s difficult to tell at this distance, of course. 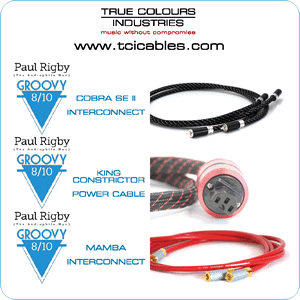 Have you checked other components in the chain including cables, etc? Have you tried simple things like disconnecting and reconnecting, switching off – waiting – then on again? Sometimes the basics can bring surprising results. 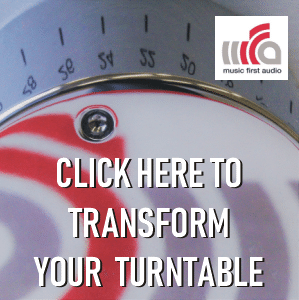 If the lower sound gain occurs with a turntable, have you been able to try another turntable and/or cartridge? The issue could be with that. i have one of these receivers and i am wondering can you get a signal from the out jacks on line’s 2 and 3 and plug them into another line on a different amplifier ? like a tape loop.if not how exactly do the out’s work? and what can you connect to them to get a signal. Nice review, I also read your review of the Yamaha WXA-50 and I’m undecided between that and this R-N602 and would be interested in your opinion of which is better as I’m having trouble finding anywhere that has both available to listen to. I like the small form factor of the WXA-50 but if the R-N602 sounds better I’d happily go with that. I listen to pretty much just Spotify (rock, jazz, classical) and internet radio (6 music and radio 3). You’re not very complimentary about the 602 for digital music. I have Tannoy Arena 5.1 speakers (with an old Yamaha receiver) but am possibly going to change to stereo speakers: Monitor Audio Bronze 2, Q Acoustic 3020i or Dali Zensor 3 (or just keep the 2 front tannoy speakers and the sub) – interested in your view on that and any other suggestions welcome, budget is £300-£400 for the Amp and around £300 for the speakers. Many thanks! Thanks for your question Julian and your kind words. As a choice between the two Yamahas from a digital perspective, then yes I’d go for the smaller units with a pair of Q Acoustics. Thanks for the nice read and all the effort in the feedback here. I’d be really curious, if you speak to the yamaha types again, if they have any plans to ever put some crossover control in a stereo amp, without the rather ridiculous method of using an app, like on the r-n803. sub woofer DSW PRO 55OWI to this amp without the amp getting overloaded and tripping? Looking the manual, that shouldn’t be a problem Rohit. THANKS A LOT….APPRECIATE YOUR HELP AND ADVICE. Dear Paul, many thanks for the detailed review. I see that a similar question has already been answered higher, however, I think I have a slightly different perspective here. I am choosing between WXA-50 and R-N602. I have heard quite different opinions about both pieces of equipment but had a chance to test only WXA-50 at an audio shop, so cannot judge by myself which one of them is better. They both offer very similar versatility as regards WIFI connectivity, streaming music from Spotify etc. I would bet that R-N602 bosts better sound naturally as it is a bigger receiver and one cannot fool the physics (apparently). Nonetheless, I have been told that WXA-50 sounds better due to a better DAC (and that the same DAC can be found in R-N803). I wonder whether this really is the case – what is your opinion? Now I am looking at an offer featuring WXA-50 with Wharfedale Diamond 230 floorstanding speakers. Is it able to handle these floorstanding speakers? Or should I need the additional power of R-N602 for them? Many thanks in advance! Hi Edvīns – both Yamaha products are not perfect and both have pros and cons but if digital is your preferred source then, yes, the 50 is my preferred option. The speakers should be fine with the 50. Yes, shouldn’t be a problem. When you can, grab an external phono amplifier. The Rega Fono for under £100 is a good choice. I have searched hundreds of threads and haven’t found the an answer to my question. I had the old Sony Muteki 7.2 for about 8 years and just used the woofers and 2 big front speakers. It was surprisingly one of the best sounding hifi systems I’ve heard. Sadly the amp hummed and died. I have purchased the Yamaha r-n602 and hooked it to the Sony speakers and what a terrible disappointment! The sound is rubbish.. What floor speakers would you recommend to make this amp sound outstanding? Thanks..
Hi Kylie – What’s your budget? Two years later, is this still a top recommendation in this range? Any other top new budget receivers? I’m looking for a receiver for my Bose 301 Series ii and HSU VTF-2 subwoofer… likely be using AirPlay. Thanks so much for your detailed review. I’ve just bought the RN602 to replace my parents’ old 80s JVC amp and am really pleased with it. Records sound excellent and I’m loving the spotify integration. However, I’ve tried plugging in a new pair of Sennheiser momentum on ear M2 headphones and they sound weak, muffled and a bit fuzzy. I’m guessing they’re primarily designed for portable devices as they’re 3.5mm so I’m having to plug them into a 1/4″ adaptor – possibly the issue? Hoping it’s not a faulty headphone input! I’m fairly new to hi-fi separates and feel like I’m probably missing something obvious – do you think there’s a way to get the headphones sounding their usual best through the Yamaha? Thanks for your comments, Joe. As for the issue? Hmmm, your headphones shouldn’t be sounding like that. Firstly, you need to eliminate either or both. Do you have another pair of headphones you can use with the Yamaha and then can you plug the headphones elsewhere. Then see if the effect is replicated on both. Another issue might be that you haven’t pushed the plug in all the way, as it where. I do that all of the time 🙂 And I mean all the way into the Yamaha but also all the way into the adapter. 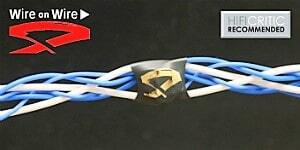 Also, check the connection between the headphone cable and the headphone cups. Thanks for the suggestions Paul. I’ve only got iPod in-ears to hand, tried those and it’s the same – fuzzy, lacking any power – but to a worse extent than the Sennheisers. Headphones and adaptor were both fully plugged in and both work fine when listening to other sources. I then tried plugging the headphone jack in partially and at one point actually got a half-decent sound out of them which is beginning to make me think it could be an issue with the input… Will make some calls tomorrow and see if I can get to the bottom of it. I would now look at the adaptor – that might the the issue. Can you replace it? I’ve tried 3 different ones, the issue persists! Got in touch with seller and arranging to get the unit returned for them to have a look at. Great review. However, I am even more perplexed about my next step. I listen to music as follows: via apple music (mostly), CD’s then vinyls. I’d like to have a simple set up with an amp, CD player and speakers. Overall budget around £1000-1500. The room Ill set this up in is around 4m x 2m. Would really appreciate your input on what would be best for the money. 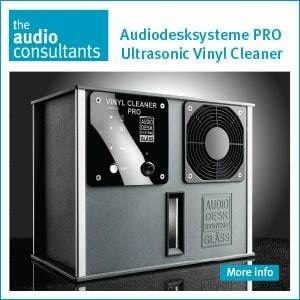 I would spend the most on your CD source and would head towards a Rega Apollo for around £500. I would keep £100-£200 for cables. Look at QED from Amazon and buy the best you can afford. You really need half decent speaker stands for these. Check out Atacama for good value models. I like the solid HMS (£200) but even their lower cost models are good: http://www.atacama-audio.co.uk/c/speaker-stands. Digital seems to be your main format so I would settle there and then save more cash for a vinyl source. Come back to me later if you need to source a turntable. Thanks for the very quick response!! Very impressed. Thank you for your input – will go as per your suggestion. Already have a turntable, a project elemental, but not happy with this so if you can suggest something suitable for the above config, will go with that. I would rather that you get the best digital-based system for yourself first and live with the Pro-Ject for now, if vinyl is secondary. 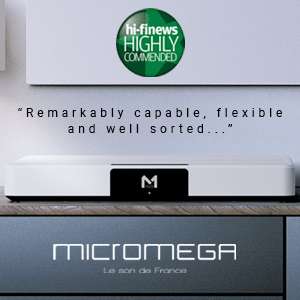 If you want to buy now, then that opens up the budget question but a Rega Planar 1 is excellent at £250 and a Rega Planar 3 is great at around £550. There’s others out there though of course. You can use the phono amp in the Yamaha but better sonics will derive from an external phono amp. Rega’s £100 Fono is good so is the Pro-Ject model for around £50-£60. Ill go with your config and will leave a review of the quality and sound (in layman terms sadly). Thanks Omar – I look forward to that. If you need further help later on, give me a shout. Hi paul, a question from me. I have a pair of klipsch rf 52, and i m thinking of getting a stereo receiver mostly for internet radio and some good quality mp3 and flac. Also as my tv sound. I am considering yamaha and maybe r-n 602. What is your opinion? Thanks for your question Lefteris. That would firstly depend on your budget. What would that be? Onkyo has a habit of producing very nice amplifier modules which often challenge dedicated 2-channel hifi amps of a similar price. You suggest more like an av receiver over a dedicated 2 ch? I am not interest in home theater at all…. The internet radio (which seemed to be a priority judging by your question) is the problem here and finding a 2 channel with that built in is an issue at this price. There are all-in-one 2-channel products out there with internet radio but they are much more expensive. AV units do provide this feature at a lower price. That will give you quality sound, superior to the Yamaha. Not as good quality in terms of sound but a better feature set, is the the Yamaha R-N803D which will provide a host of music services (plus DAB radio built in) but, again, you’ll need to send the internet radio to it from another device. There are other brands, of course, which you might prefer but this is the basic choice. Great sound, lousy feature set or superb feature set, not quite so good sound (but still decent, of course – I’m not denigrating the Yamaha sound at all). No problem, I hope I’ve been able to help, Lefteris. I recently purchased a Marantz PM 6006 amp and a set of Q Acoustics speakers. I have an old pair of Technics 1210s record players which I have connected to a mixer and I would like play my music to a connected wireless system such as musiccast. I don’t want to replace my current system so wondering if I could use the Yamaha N602 solely as a digital receiver and not as an amp. ie use it to take my music onto the musiccast network while still using my current vinyl player, amp and speakers. Is this the best solution or is there an alternative? Hi Paul – thanks for your comments and question. Just to clarify then – all you’re looking for is a way of adding MusicCast to your current set-up? Hi Paul, i’m currently replacing my aging stereo system, and i’m divided by the Yamaha R-N602 and the pricier Yamaha RN803D, which costs around 200 euros more. Can you tell me if the price difference is justifiable? Do you think the sound quality, which is my main criteria, is much different? Thank you! Hi Joao – well, that depends on what you’re using it for. Do you also use it with your TV or is it exclusively for stereo? What facilities do you require? What are your priorities? Hi Paul, thanks for the quick reply! I’m using it mainly for music playing (CD, Spotify, FM and internet radio). TV is secondary, as vinyl, but will be used also. So, my main priority is sound quality alongside the streaming use. I’m not planning in reproducing digital files, just my CD collection Spotify and radio. Thanks for your support. Can you list the rest of your hi-fi please, Joao? Hi Joao – I would advise keeping hold of the speakers for now and concentrating upon the sources. The sources are where the detail is to be found and presented. Any detail lost here will not magically reappear later merely because the speakers have been upgraded. On that basis, I would look to upgrade as many sources as possible. That includes the CD player. At this price point, if you want Spotify and Internet radio then a receiver is a good bet. Both of the Yamahas you list are good but look closely at Onkyo too which feature very good amplifier stages. 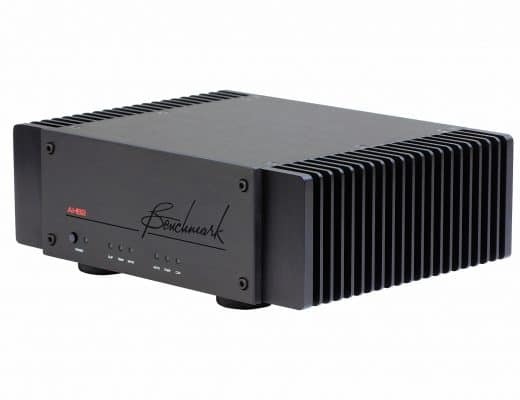 Hi Joao – I have to review the 803 but it appears to offer a better power supply and improved DAC. On the face of it, without listening to it, it appears to offer improvements. In terms of the Cd player, what would be your budget? Hi Paul. Have you reviewed the Onkyo TX-8250? Judging by it’s features and specifications, it’s a good alternative to both the Yamaha’s i was considering. I’m afraid I have not, sorry Joao. What I can say is that I’ve reviewed a few Onkyo products in the past and each and every one had a surprisingly good amplifier stage. I did one group test for HiFi World magazine a few years ago now that included a host of specialist 2-channel amps and the Onkyo performed very well against them. It wasn’t the best but it wan’t the worst either. thank you for your review. Based partly on your review (thank you) and partly on my 30 something years living happily with my Yamaha A720, I bought a R-N602 when my old amp died. Also factored into my decision was the fact that the R-N602 connected to the Internet. I can’t make mine connect to the Internet. I use a Samsung S7 Android phone as a hotspot and can connect all manner of things to the Internet via this method, but I’m blowed if I can make the R-N602 connect to the Internet. If you can help me in this I’ll be eternally grateful. A wired connection is preferable, Kit. Is that a possibility? Then you take a cable from the network port on the rear of the chassis to your router and that connects you immediately. Even if that’s an impossibility during normal everyday play, take your Yamaha to the router for now, hook it up and update your software to the latest version, that might possibly be an issue. I think that’s covered on p.50 in the manual. Failing that, have you connected the wireless antenna? Have you screwed it in all the way and then pointed the antenna upwards (too much force can damage it, by the way)? Changing the angle from the vertical (if the signal is not the strongest) might help as might locating the Yamaha in different places (the signal might be being blocked by a shelf, for example). I have to apologise for not having all of the Android info to hand because I tested the machine via iPhone. I didn’t connect my iPhone via a mobile hotspot but directly via Wi-Fi and, I think (the review was a while back now, memories fade) the app. Have you look at p.19 of the manual? That might provide more answers for your particular phone. I hope that lot will be of some help. IF not, Yamaha’s technical support is available via 0344 811 1116. Hi Paul, Thanks for the great review! I’ve resurrected my old Sansui SR-222 turntable and am looking for a receiver with a good phono amp. I’ll take this one I think after reading your words. No problem, Alistair – glad I could be of help. Hi Paul. Nice review you wrote! As I am looking for a new stereo amplifier, I wonder if the Yamaha R-N602 is the best choice for me. I have Dali Zensor 7 floor standing speakers and listen far most of the time to (internet)radio and (hi-res) Spotify songs. 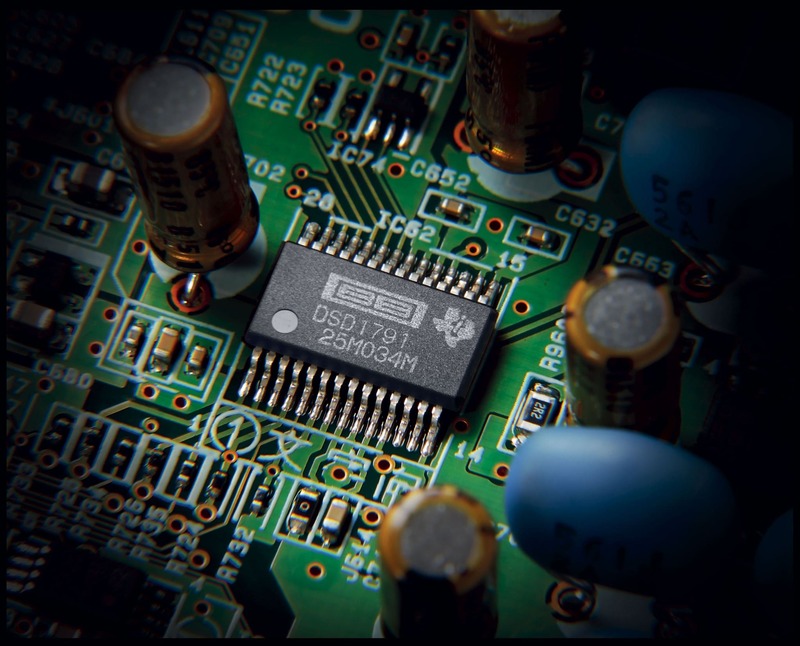 Sound quality is most important, next to some digital inputs. WiFi streaming can be done trough an external Chromecast Audio is my opinion, or am I wrong here? My budget is 700 euros, but willing to spend up to 1100 euros if the sound quality is significantly higher and matches my speaker better. Hi Tijs – thanks for your question. You might want to think out of the box a little, if you have that sort of cash. For example, £750 will buy you a Quad Vena II Deluxe. Excellent sound quality with internal Bluetooth. Just send Spotify and Internet radio to it via your phone or tablet. You can do the same with the Cyrus One HD that features DAC for £1,000. And yes, alternatively, Chromecast Audio is a valid option. The latter also means that you can also look at the Rega Brio and Heed Elixir. All are ideal options. The Yamaha will only play one set at a time Glen. You may need to go surround sound for that sort of coverage. 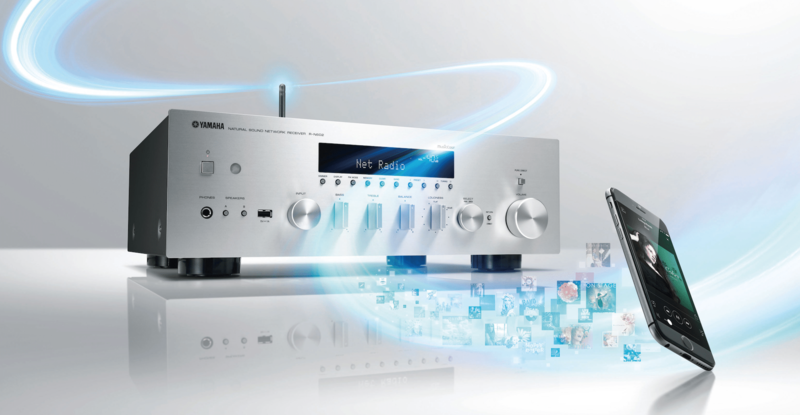 A dedicated receiver is maybe what you’re looking for? I have a dilemma; i was at the point of getting the Quad Artera Solus as a networked update for my 20 year old 34/306 but then have seen the Yamaha R-N803 which for a quarter of the price does everything including wi-fi (but not CD). i could, by getting the Yamaha, afford to buy a pair of Linn Majik 140s as a replacement for my old Castle Pembroke floorstanders. Would i be doing myself a disservice with the Yamaha as opposed to the Quad? I want quality streaming going forward alongside vinyl. Hi Chris, in a word: yes. You would be doing yourself a disservice. The Quad, if you can afford it, will reward you with superior sonics. There’s a reason it is more expensive than that Yamaha and that’s down to the quality of the featured components. I thought so! Out of interest do you happen to know whether the Majik 140s would be a suitable match for the Quad? Yep – I think they should match well Chris. Hi Paul, thaks fot the review, helped me a lot, but I am still in dilemma. Im looking for some kind “of all I can get” in my new apartment and turntable is a must. Music comes first, tv last. The dilemma is Yamaha R-N602 or Cambridge Topaz SR20 with Dali Zensor 3. The price is almost the same (800€ reciver and speakers), but Yamaha has much more features. What you think about this combinaton, is it any good for the money (? Second dilemma is Rega Planar 2 or Musical Fidelity Roundtable, also same price (500€). Can you please give me some advice, especially for the turntable? Hi Dom – thanks for the question. If you want an all-in-one system of any kind then you’re talking compromise. Sound will suffer in return for all of those goodies stuffed into a single chassis. 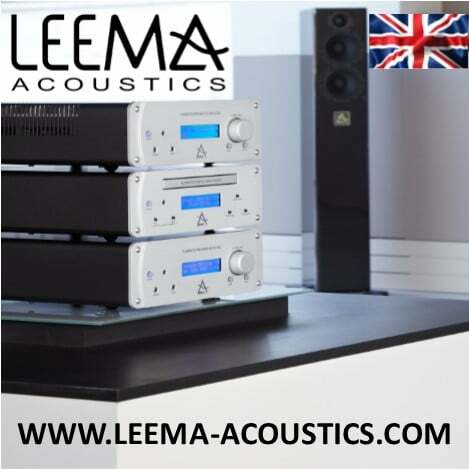 A purer, 2-channel system will give you better sound but to retain that sound you’ll need to spend more to gradually collect those other features you may need. For example, you can buy a separate streamer to plug into a 2-channel amp. Any receiver is aimed more at surround sound with 2-channel an after thought. If TV sound has to be ‘decent’ but no more then I’d go for a cheaper receiver: A Yamaha is nice, Onkyo provide a good quality amplifier section for TV too. Then, for vinyl, you’re looking at a separate system: turntable, amp, speakers. As the Roundtable is discontinued, you’d be better looking at a Planar 2.
good match to polk audio signature s20? Apologies for the long message above, but I will appreciate your guidance. Hi Royce – thanks for your question. I need to clear posts which is why you didn’t immediately see your own. As for your future purchases. I’ve reviewed Onkyo in the past and have liked their amplifier stages, generally. I’ve never experienced brightness from Onkyo although I have not, I must admit, reviewed this particular model. 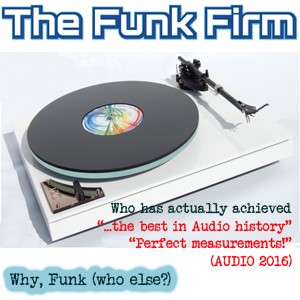 Cambridge is a good quality audiophile brand and, if digital is your main source, I’d probably go for this one. The sound is generally neutral and tonally fairly well balanced, even at this price point. The Yamaha struggled little with digital sources, I found. Many thanks for your time and reply. At this point, I’m leaning towards Onkyo TX-8270 because of the superior feature set i.e. Tidal, network streaming, etc. and probably bring my polk audio speakers to audition the Onkyo. How about Marantz M-CR611? 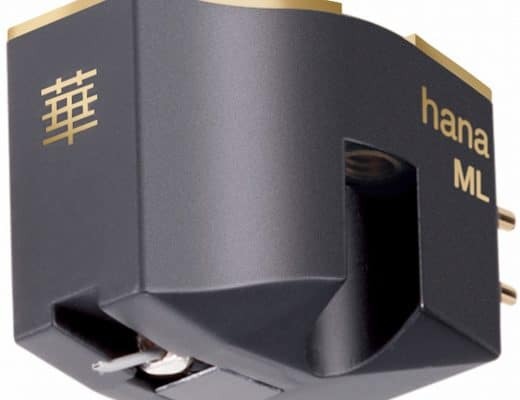 According to whathifi it lacks attack https://www.whathifi.com/marantz/m-cr611/review plus this cost a bit more at 635 euros. Hope you won’t get tired of my questions until I have make the big leap. Hi Royce – Marantz is a quality brand and it’s designs are consistently good but I think the Onkyo provides great value for money and, as I say, the amplifier stage is always good. Just to update you, I’ve pulled the trigger and purchased the Onkyo TX-8270. I have it set-up for a week now, and yes, the Onkyo and Polk Audio is a very good match. Playing mostly Tidal MQA in pure audio mode and I’m wowed by the clarity and musicality that seems to envelope our living room (4 x 5 meters). I’m very happy of the outcome and mainly due to your guidance. Many many thanks!! I have ordered one of these to replace an aging Cambridge A1Mk3 and a 30 year old Technics Tuner, curently have Mission MX3 floorstanding speakers and a Project playing through a Project e box.? I know the RN602 has a phono stage, but do you think I would be better keeping the e box? 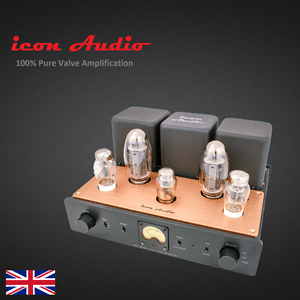 Hi John – sonically, an external phono amp is much better. I’d keep it. 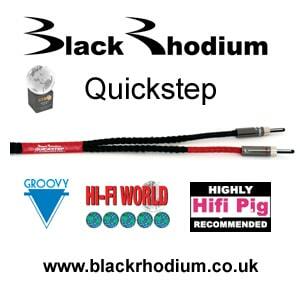 Hi Robin – using an external DAC reduces electronic noise which translates as a veiling across sound detail. That is, when you pile a heap of technologies into a single chassis, they are susceptible to cross contamination in terms of various types of noise as they sit so close together. Using an external DAC – an external or separate anything actually – helps to isolate the item and the audio signal coming from it. Result? A ‘good thing’. PURE DIRECT works wonders. Thank you for the information. Great stuff – thanks for the feedback Tove. Hi Paul. Great Review. I bought this Amplifier (Yamaha R N602) and a pair of Elac Debut B6.2 with Elac S10.2 subwoofer. There are couple of things you could guide me with. 1. I have connected the sub to LFE output channel and set the crossover frequency to 80Hz. Will the main passive speakers be cut off from below that frequency? 2. The speakers are rated 120 Watt/6 ohm. The Amplifier has either 4 ohm or 8 ohm outputs. I connected the speakers on 4 ohm output. Still sometimes there is clipping at a volume gain of -5db or 0db. What could be the problem? Is the amplifier not enough for speakers or the speakers are not matching properly or anything else? Let me check this one, be back with you ASAP, Rupesh. This is from Yamaha, Rupesh, “The speaker terminals always output full range signals on the R-N602, so when you are introducing a subwoofer you will need to audibly identify the crossover, a good place to start is at the speaker manufacturers rated low frequency response, which is 44Hz on the ELAC B6.2 The ELAC S10.2 lowest crossover dial setting is 50Hz, I’d suggest to start there. Be sure to listen for what phase position 0 or 180 sounds louder. Thanks for taking the time Paul. You have been really helpful. One more thing, is my amp (Yamaha R-N602) good enough to drive the speakers (Elac Debut B6.2)? Hey thanks Paul. Great to know about better amp upgrade. I am willing to add a setup in my garage. Which one would you recommend Paul? Depends on your budget, Rupesh – what figure were you considering? Yes Paul. Thanks for the reply. I am considering a budget around +/- 600 Dollars. My main audio source is airplay. Hi Rupesh – if AirPlay is your primary source then I would suggest that a standard 2-channel amplifier is not for you. At that budget, I would look at a quality AV receiver which also gives you a good quality amplifier module. On that basis, I’d look closely at the Onkyo TX-NR686 AV Receiver which is around $600. Warm thanks for patiently guiding me Paul. Wonderful to converse with you. Have a great time. Live Long.